The word "Pecan", originating from the Algonquin American Indian, means "nuts requiring a stone to crack", but that didn't stop George Washington from gobbling them up! Because the nuts grew wild, pecans became a staple food for certain Native American tribes, and so began our love affair with this delicious nut. The pecan tree is a large deciduous species of Hickory tree native to south-central North America, stretching from Veracruz, Mexico and as far north as Iowa. Spanish colonists were among the first to cultivate pecan trees in northern Mexico, and the first trees grown on U.S. soil were in Long Island, N.Y., in 1772. Today, the U.S. produces around 80% of the world's pecans, with an annual crop of 150-200 thousand tons from more than 10 million trees. Harvest season for pecan trees is around mid-October, with the leading pecan-producing states being Texas, Georgia, and New Mexico. 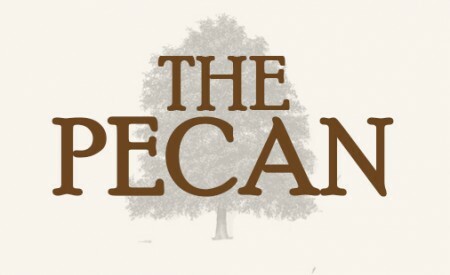 The pecan tree grows up to 130 ft in height, with a rare few reaching as high as 160 ft. Its crown spread can be as much as 125 ft with a trunk diameter of over 6 ft. The flowers are wild-pollinated, and the pecan fruit is not truly a nut, but is technically a drupe, or a fruit with a single stone or pit. The seeds of the pecan are what we top those iconic Pecan pies with, and they can be eaten raw or cooked. Clinical research published in the Journal of Nutrition (September 2001) found that eating about a handful of pecans each day may help lower cholesterol levels similar to what is often seen with cholesterol-lowering medications. The antioxidants and plant sterols found in pecans reduce high cholesterol by reducing the "bad" LDL cholesterol levels. Furthermore, recent work by respected scientists suggests that a high rate of monounsaturates to polyunsaturates/saturates may be the most helpful way of reducing the risk of heart disease.